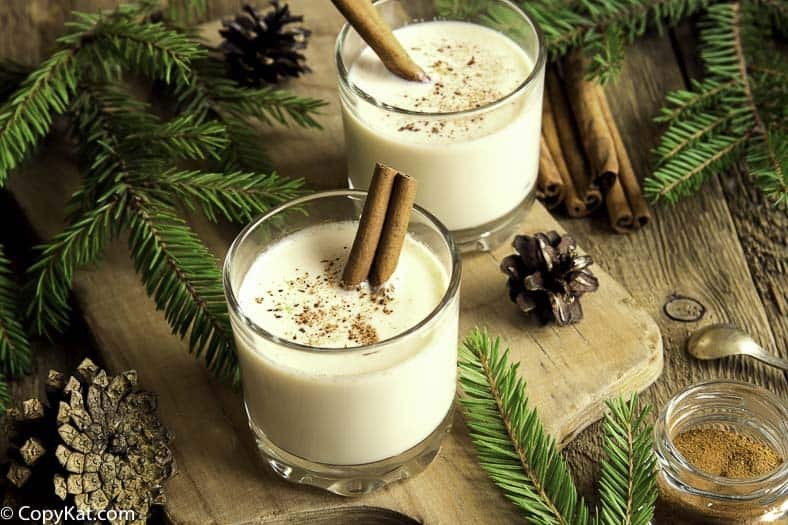 Boozy Egg Nog is homemade egg nog, that is spiked with liquor. This recipe for Boozy Egg Nog is super easy to make, and you will soon wonder why you never made this before. First, I must make a confession. I love egg nog, but I have never made it from scratch. Where I live I love the Borden’s Premium Egg Nog. It’s delicious, and available at my grocery store. My interest has always been piqued because people speak of it so highly. I must confess, I know why now. I finally made some homemade eggnog, and it is delicious. Yes, homemade egg nog has raw eggs in it. There are two reasons why this is less worrisome than you might think. First off, let me say minors should not consume drinks with alcohol. Secondly, you can purchase pasteurized eggs. These pasteurized eggs are safe to consume. If you have additional concerns about raw eggs in eggnog, be sure to read this page from the Food Safety Page. I have made this recipe a few times in the past couple of weeks. I am now in love with homemade eggnog. Simple to make, and it is simply delicious. Now, if you look online you may see it’s all the rage to age your eggnog for a few weeks before serving, while I did not do this for my recipe, you can read about aging eggnog here. I let mine age for a couple of days before serving it. The alcohol that I choose to use for my eggnog was dark spiced rum. 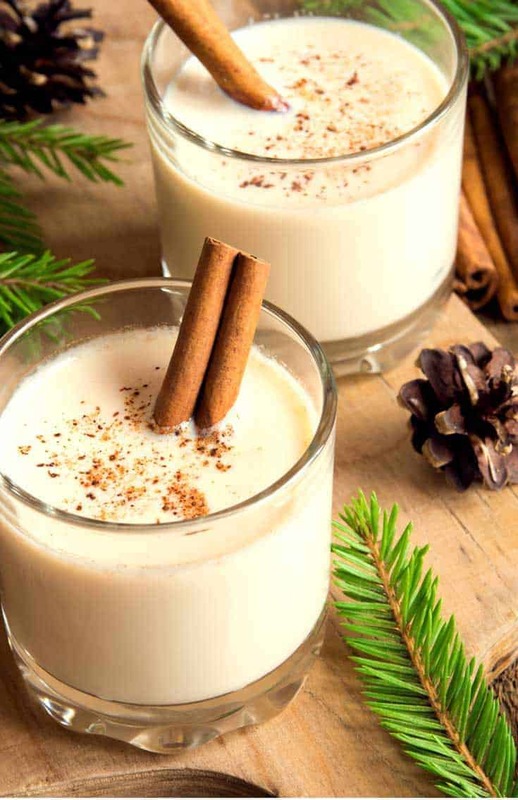 I personally love the flavor of a good quality spiced rum, I think it adds a lot of nuance to the flavors of eggnog. I hope you give this recipe a try, and I hope you find homemade eggnog as delicious as I do. The ingredients are very simple. It is made with cream, eggs, sugar, vanilla, rum, and half and half. Half and Half is sold in the US, it is a mixture of whole milk and heavy cream. It is half whole milk and half cream. Enjoy some old fashioned egg nog. Whisk the eggs together until they are lighter in color and creamy. Mix in sugar, and stir to blend until all sugar is dissolved. Add in half and half, heavy cream, and vanilla. Stir to combine. Add in your favorite alcohol. I hope to make this but will try a sugar-free recipe and hope it turns out like the real stuff? Came across your simple recipe in a google search. For those that are concerned about raw eggs. If you’re making a boozy concoction, the alcohol will kill that bacteria. If you’re not doing the booze, then go for the pasteurized eggs. I would just leave it out, it will be fine. Thanks Stephanie. Tastes great. I like to add 1/4 tsp nutmeg to this recipe. By the way, the Honda VT750 you sold me still works great. I took it to Glacier National Park last summer and rode it all around northern Montana. Oh wow, I am glad you enjoy the bike! We are making this tomorrow for Christmas Day, cannot wait! Even though we raise our own chickens and the eggs are organic, I still hesitate to digest raw eggs. Do you have another recipe when you can at least heat it to kill any bacteria? To make the recipe as written I would suggest that you use Safest choice store bought eggs, they are eggs that are pasteurized. If not, you could put the whole mixture into a double boiler, and I believe you would heat this to 140 degrees, prior to adding the alcohol. Thanks Stephanie, that helps. I shall heat it in a double boiler, as we prefer our own eggs, and, we have a lot of them! I found an eggnog recipe that tastes great and I also make it sugar-free. Mine only uses the yolks. Whip with Splenda and set aside. Mix the cream and milk, nutmeg in a saucepan, heat till simmers. Add a small part milk to yolks, then add a little more. Add all the yolks mixture to the milk mixture. Heat again to simmer. Put in jar and cover and cool. 2 cups milk 1/2 tbsp. nutmeg, add vanilla after removing from the heat! I just wanted to ask exactly what is Half & half? As I’m in the Uk and I’ve never heard of this so what can I use instead please as I’m dieing to make your Boozy Egg Nog. Ps. Now I’m feeling slightly stupid for asking but if I don’t ask right lol. Half and Half is sold in the US, it is a mixture of whole milk and heavy cream. It is half whole milk and half cream.